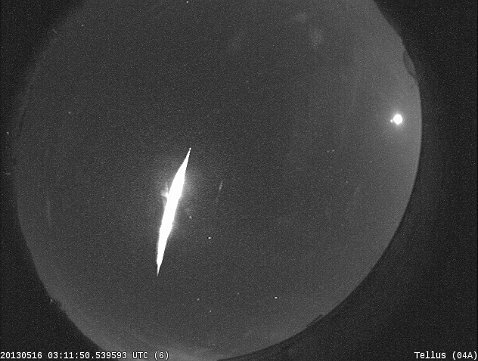 The NASA All Sky Fireball Network detected this beauty on May 16, 2013 at 03:11:50 UTC. Observed by 6 meteor cameras, this fireball penetrated deep into the atmosphere, making it down to an altitude of 36 km (22 miles). The 350 gram meteoroid responsible for this brilliant display entered the atmosphere at around 22 km/s (49,000 mph) — slow for a meteoroid! 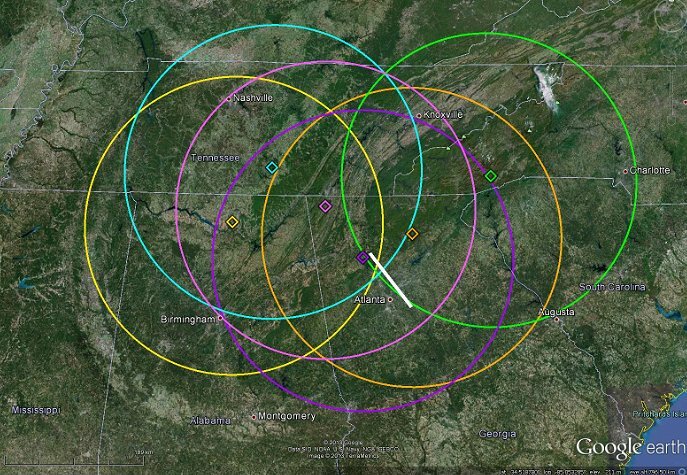 — and decelerated to about 10 km/s (22,000 mph) before disintegrating over northwest Georgia. Calculations indicate a radiant in the constellation Libra. Author Marshall Space Flight CenterPosted on May 17, 2013 May 23, 2013 Categories UncategorizedTags All Sky network, fireball, Marshall Space Flight Center Meteoroid Environment Office, meteor, NASA4 Comments on Fireball in the Sky! 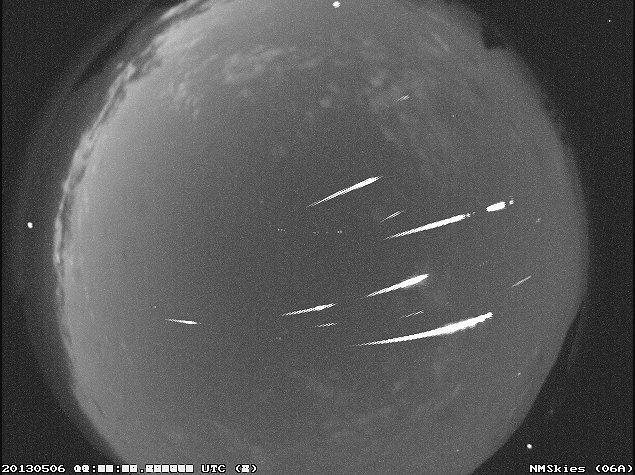 Same meteor — same location — two different meteor cameras! 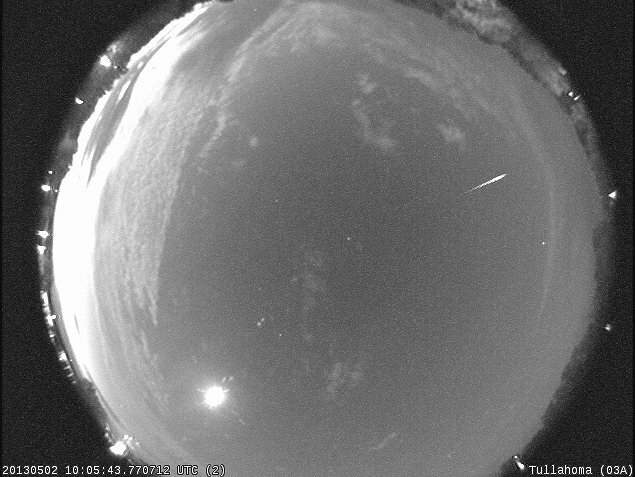 The video shows the same meteor (an Eta Aquarid!) from one of our all-sky cameras and from our wide-field camera (~20×15 degree FOV) both located at Marshall Space Flight Center in Huntsville.